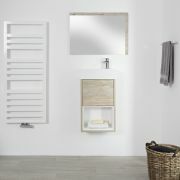 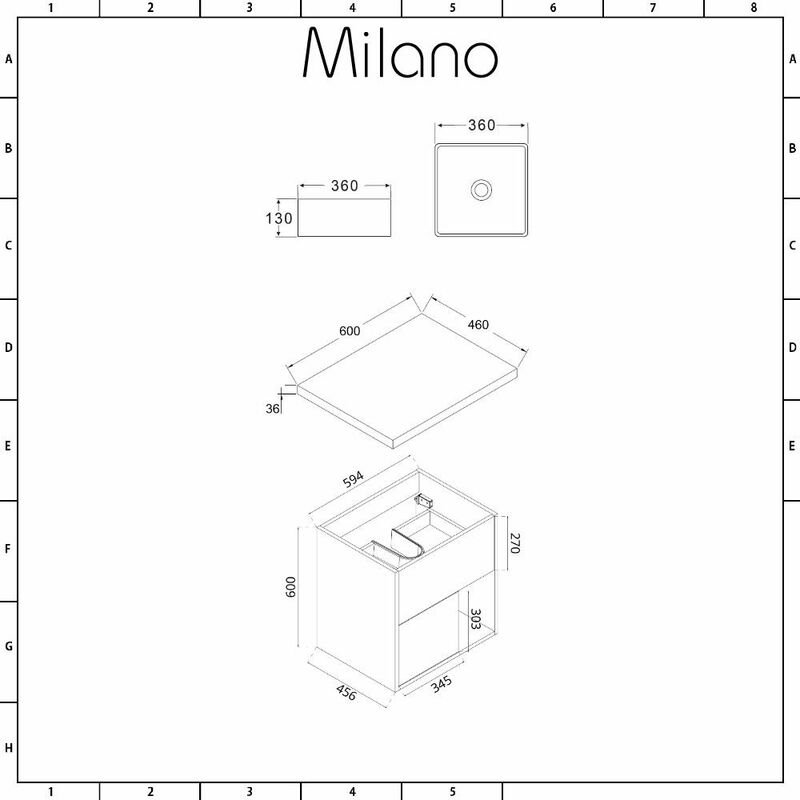 Add a chic, designer look to your bathroom with the wall-mounted Milano Bexley 600mm vanity unit and basin. 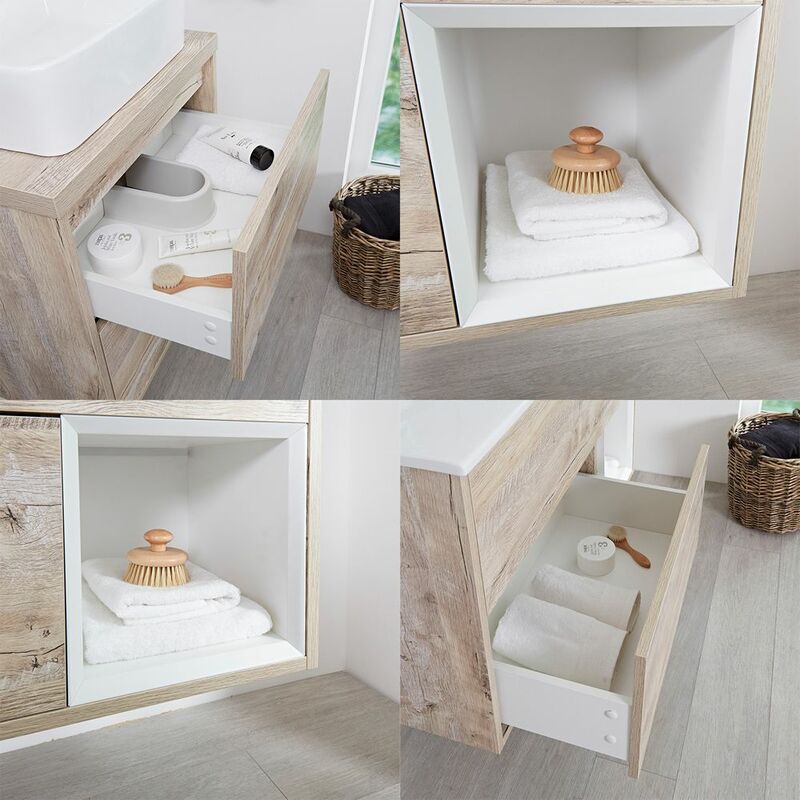 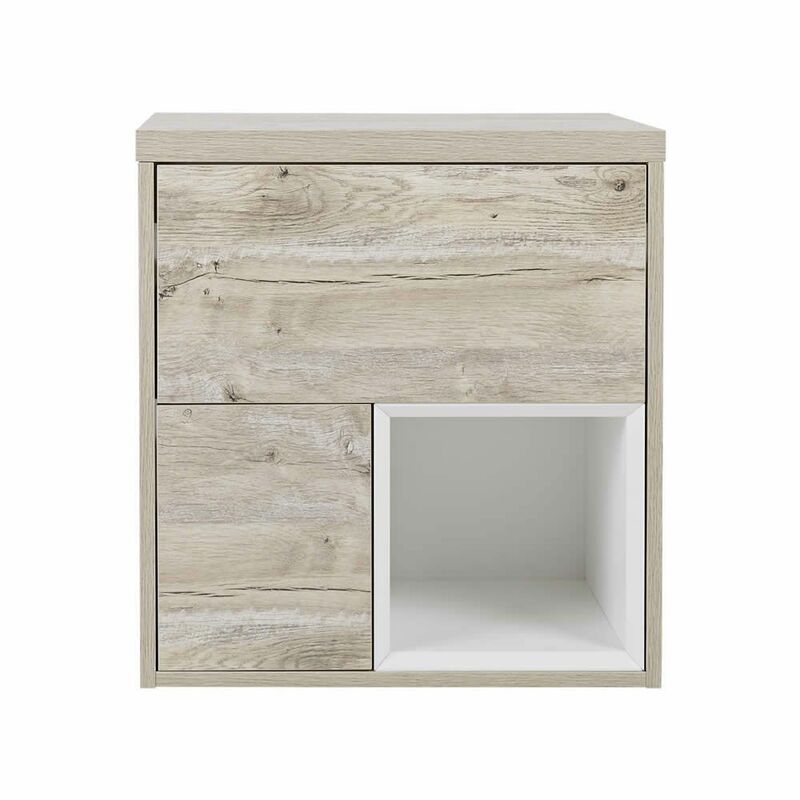 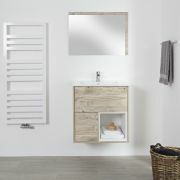 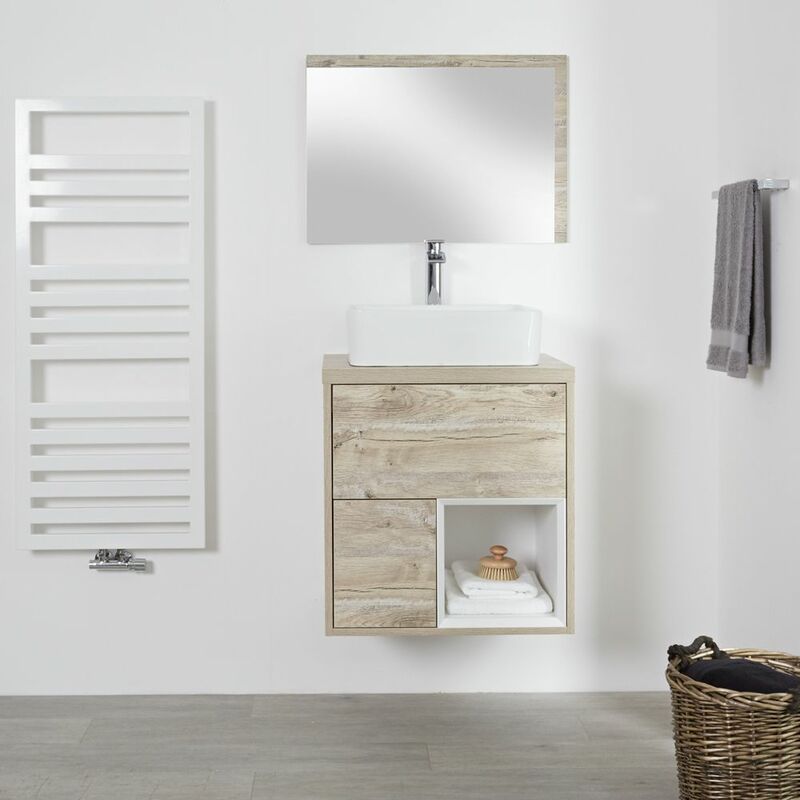 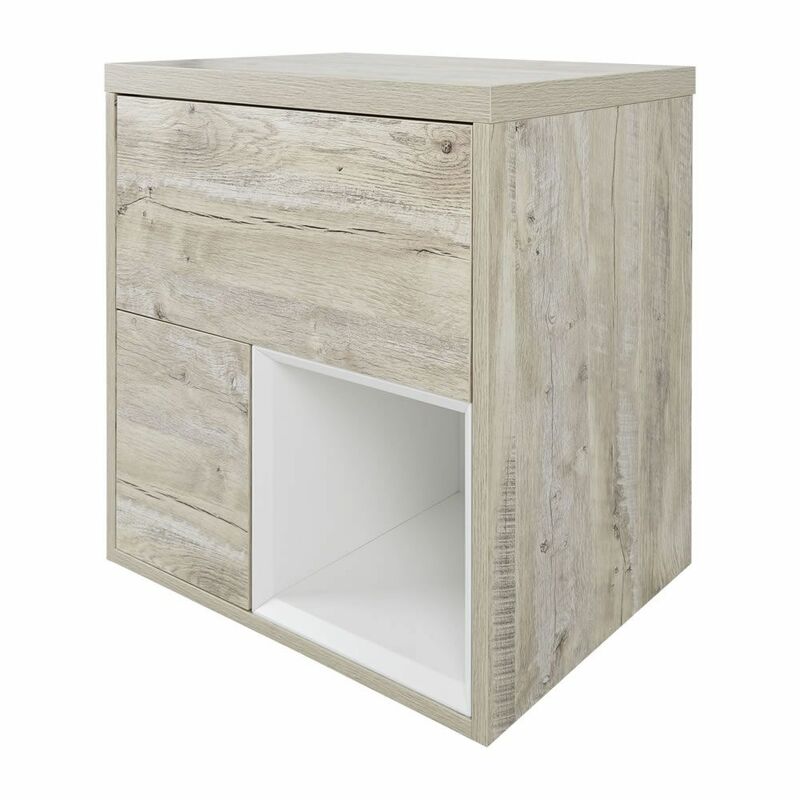 Manufactured from robust moisture resistant engineered wood with a light oak woodgrain finish, the Bexley offers a stylish storage solution to your bathroom thanks to two push to open soft close drawers and an open shelf, giving you plenty of space to store your toiletries. 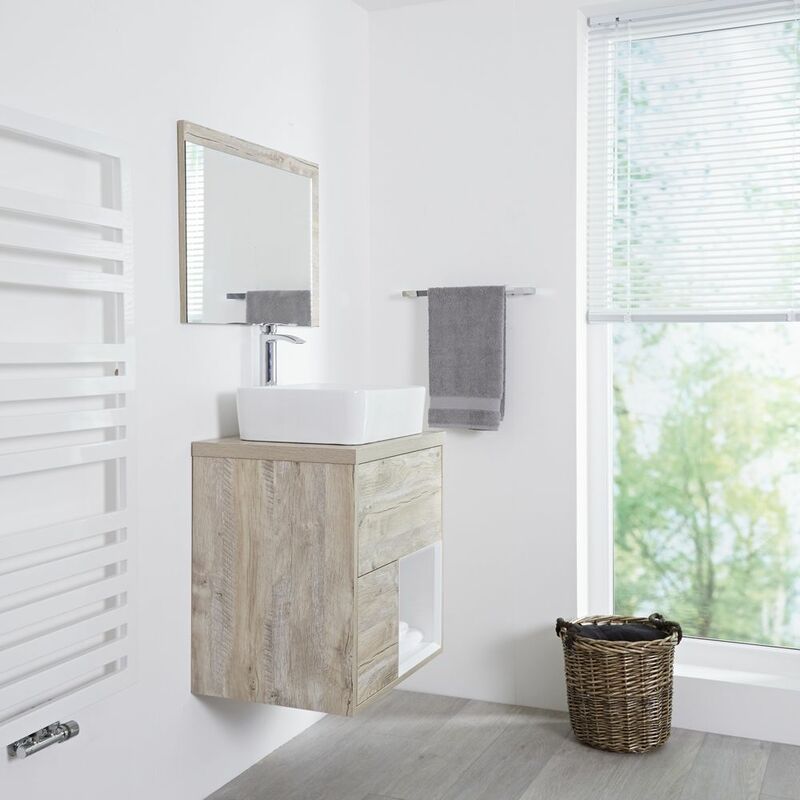 The contemporary design is allied to long-lasting durability to ensure that it is robust enough to cope with everyday use in the bathroom environment. 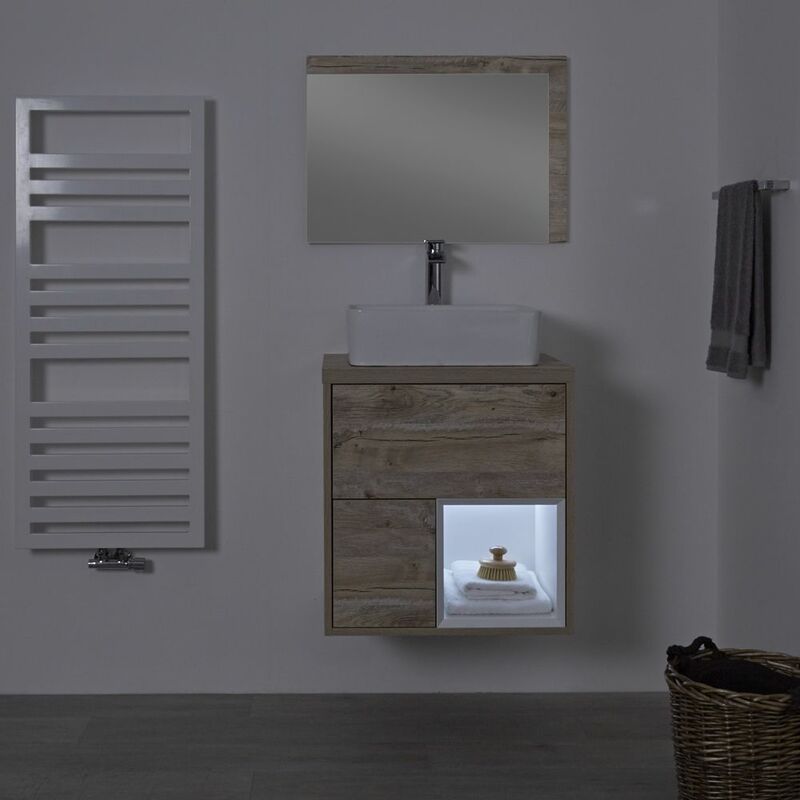 The Bexley vanity unit is finished with an attractive square countertop basin made from high quality ceramic and finished with a white glaze. 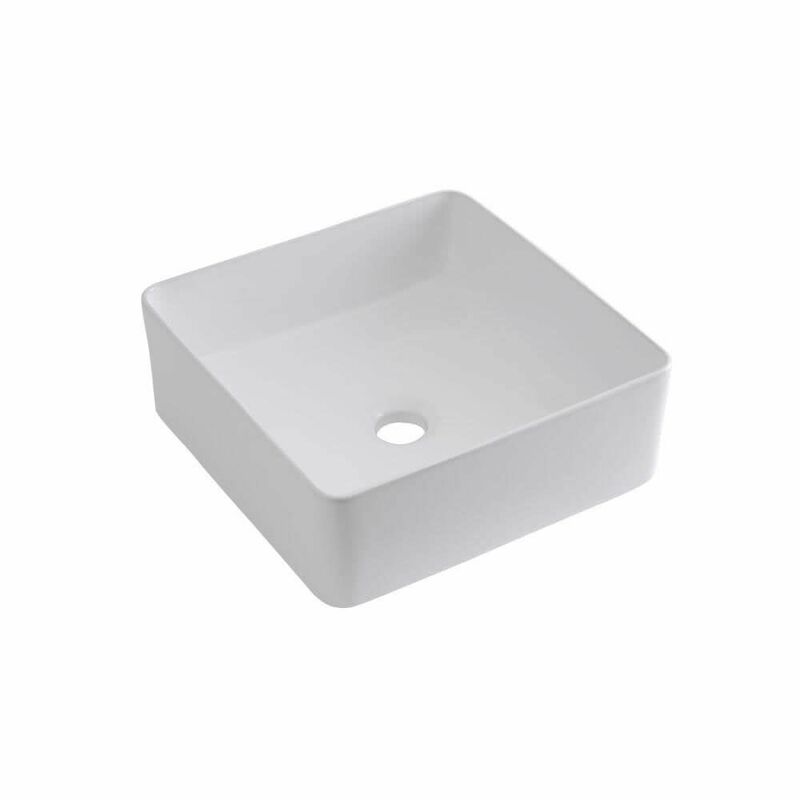 The basin does not have any tap-holes, making it ideal for use with one of our wall-mounted or high-rise basin taps to complete the look.